Of Moscow's many yoga centres, the Era Vodoleya (or 'Age of Aquarius') yoga club stands out for a number of reasons. For starters, it provides an exceptionally wide range of yoga classes - 14 varieties including hatha, kundalini, ashtanga, yantra, courses for pregnant women, fast lunchtime classes for office workers, apnea yoga, and even children's yoga - with a yoga shop on site. In addition, it offers 13 kinds of of massage, plus qigong, karate, kung fu, meditation and dynamic relaxation. But perhaps the biggest difference between Era Vodoleya and other yoga centres in the Russian capital is that it was founded by someone with an unusual and surprising background - surfer, windsurfer and former president of the Russian Surfing Federation, Felix Pak. This adds an extra dimension to Era Vodoleya as not just a yoga centre but a 'mecca for surfers', with strength and balance classes that are beneficial for fans of board sports. In these classes, participants perform exercises while standing on special balance boards that tilt back and forth, side to side, just like a surfboard on an ocean wave - a unique program of strength, breathing and stretching exercises. 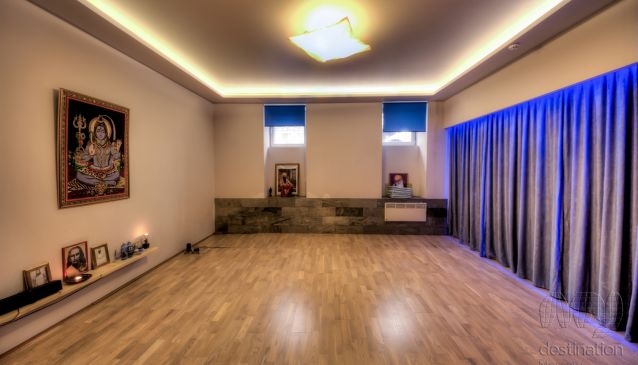 The Era Vodoleya Yoga Club is located in the very centre of Moscow, just off Tverskaya Ulitsa near Pushkin Square. It has two halls for group sessions and one for private classes. There's a vegan cafe, and tea ceremonies. The centre's mission includes being a place for people to meet friends and make new ones, so every Saturday it hosts Chuapar evenings, providing an opportunity to have a fun night out while getting acquainted with this traditional Indian board game. Era Vodoleya was recognised as one of Moscow's top five yoga clubs by Time Out magazine.